I can't imagine what my life would be like if I didn't read ... and I mean read for pleasure, not for work or for school or for the purpose of navigating everyday life. 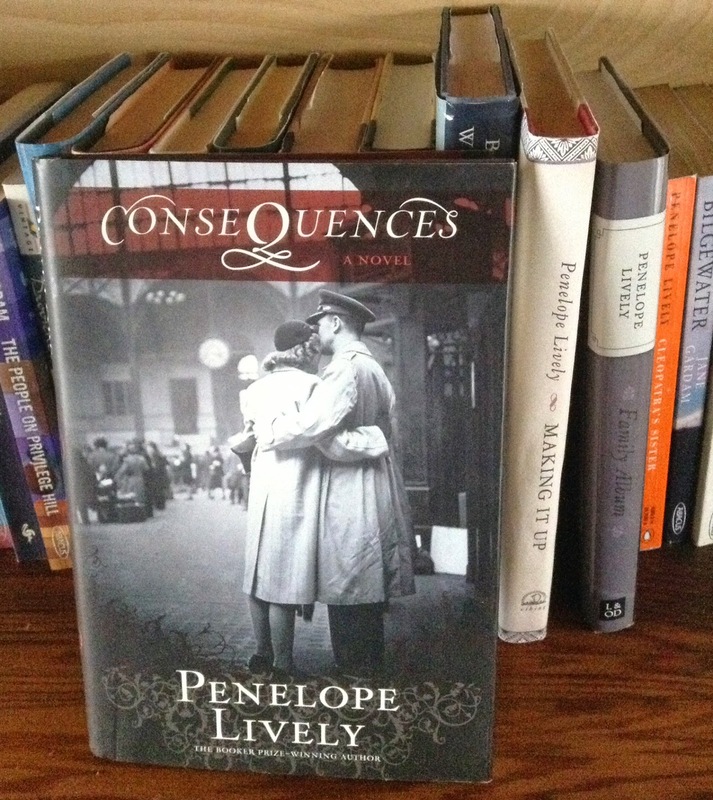 In a wonderful Penelope Lively book called Consequences, she says that books "take you out of yourself and put you down somewhere else from whence you never entirely return." I've been traveling in my head through reading even since I can remember. It's taken me places I have never been. And taught me things I could not have learned elsewhere. Just the other day my husband asked me to define a word he'd encountered in a book he was reading. The word had to do with horses and horseback riding. I gave a detailed explanation and he looked up at me..."Where in the world did you learn that? he asked." And, crazy as it sounds, I remembered it from a Trixie Belden book I had read as a kid. I mean, Trixie and Honey rode all the time, how could I not know stuff about horses? My mum says that as a child I used to tell her long, descriptive stories about the books I was reading, using gestures to show how big something was or waving my hands mimicking the action of the characters. She says that sometimes it was hard to tell the difference between something I had read and something I had actually experienced. The books I read took me places that seemed entirely real to me. 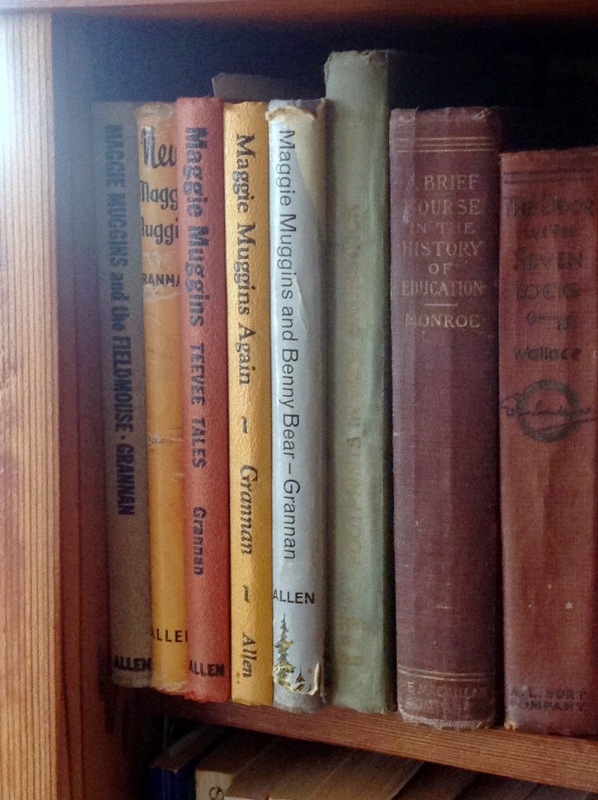 My collection of much loved Maggie Muggins books. 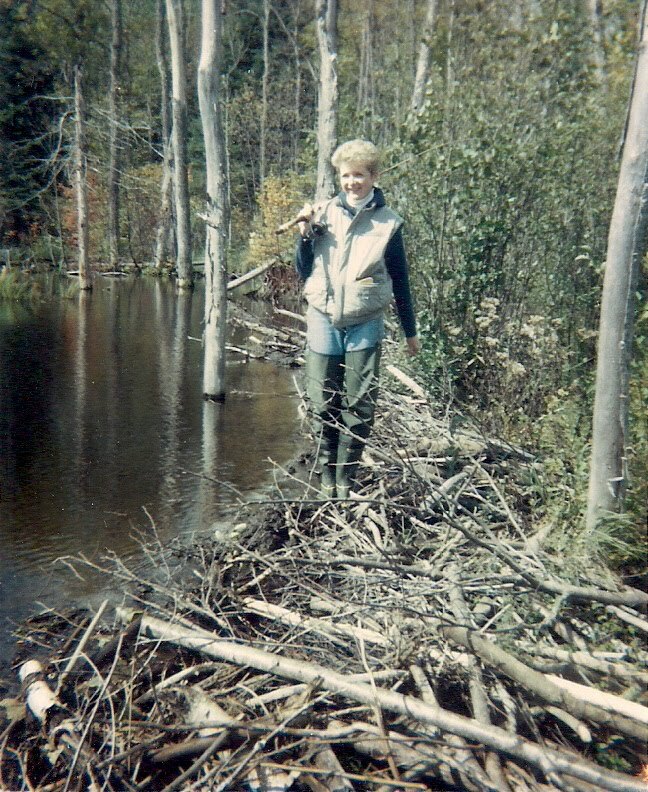 Mary Grannan was my mum's grade one teacher. I come by this obsession with books honestly... I am a third generation voracious reader. My maternal grandmother was an avid reader, though where she found the time while raising eight kids and boarding two hired men who worked for my grandfather, I'll never know. I have heard stories of my grandmother going to visit her sister when they were both well up in age.... the two of them reading long into the night and talking back and forth about what they were reading from their respective bedrooms. I love to imagine their bedside lamps throwing pools of light out into the darkened hallway and their quiet voices drifting back and forth. My mum's cousin said she remembers falling asleep to the murmuring of Grammy and Aunt Gertie. My mum at 86 still reads all the time. Like me, she gets lost in a book.... sometimes coming up for air and taking a few minutes to realize where she is... or maybe what century it is. Once after spending an hour or two totally engrossed in Watership Down, she walked down the road to a neighbour's house. As she walked she saw the nose of a small rabbit peek out at her from the long grass on the side of the road. She said she had to stand there for a minute, shaking her head to make sure that it was real.... that she wasn't seeing imaginary rabbits! I love that story. When I was in high school Mum and I shared a total love for Catherine Cookson. 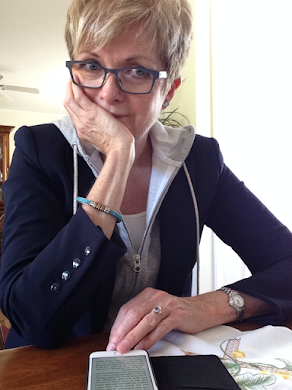 We adored her books set in Northern England: we read them, swapped them, talked about them. And then even started talking like them. "When is our Carolyn coming to stay?" "Pass the salt hinny." Then we'd laugh and no one else ever got the joke. 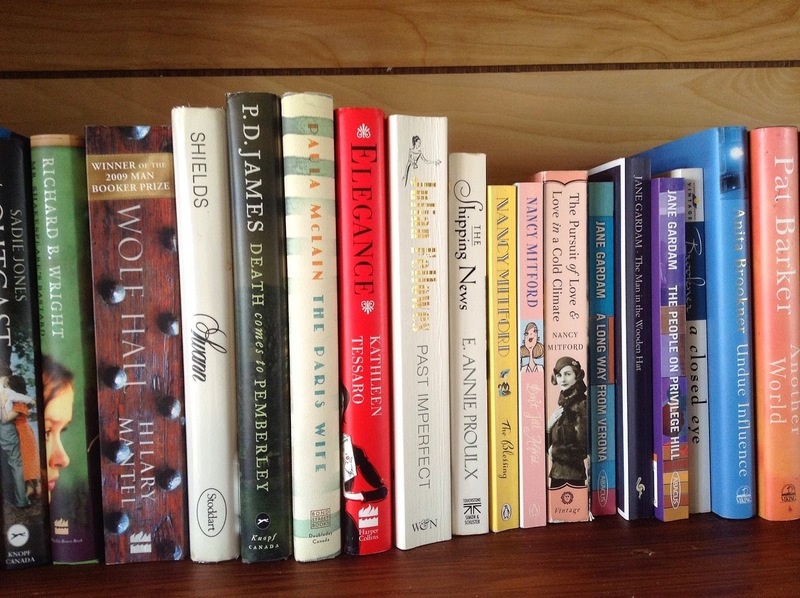 My shelf of favourite Canadian Lit. One of the best things ever about teaching high school English concerned a particular unit we adopted in our grade 12 English course. We thought that if we (the teachers) loved book clubs...why wouldn't the kids? It might be a better way of approaching the independent novel study unit. We wanted them to read current (very current) Canadian fiction. Books for which there were no Cliff Notes. So we gave our classes a short list of books, then broke them up into groups according to the book they chose to read. The rule was that you could only read a book on the list and that you had to have a group of at least 4 people reading the same book. Each week the groups would meet and talk about the book they were reading, a different student lead the discussion each week.... and brought the food. (I told my class that at my book club we ALWAYS had food.) It was the discussion leader's job to make the discussion interesting, insightful and fun. This unit was always the highlight of the semester for me. I'd watch my classes jump up to arrange their desks, organize their cookies, juice, homemade banana bread, etc for the others, and then they'd talk, argue, explain, laugh, roll their eyes...whatever....that showed me how engaged they were with their books. It was the coolest thing ever. I wanted to run out into the street and drag passers-by into the room and say... Look at them! Aren't they wonderful? 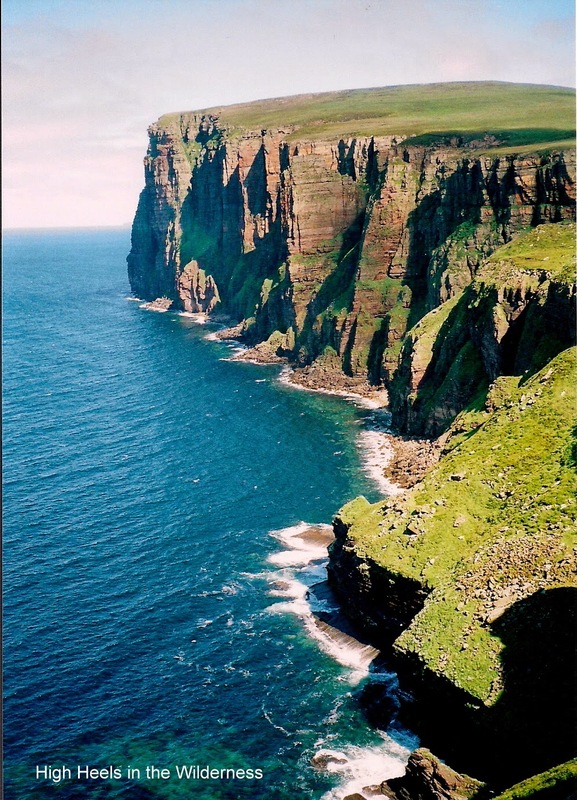 Right now I'm listening to an Ann Cleeves book, Dead Water, set in the Shetland Islands. I love hearing the book read by someone who sounds like I imagine the characters would sound. Listening to that book, takes me there, to the Shetland Islands, and makes me want to go there, and makes me think of similar places where I've already been.... all at the same time. Hoy in the Orkney Islands. Not the Shetlands...but similar, maybe? Penelope Lively had it right ... books take you places, and you never completely come back from that experience. I guess those are the benefits, the joys, the wonderful consequences of reading. What do books do for you? Oh, I can't even start. . . 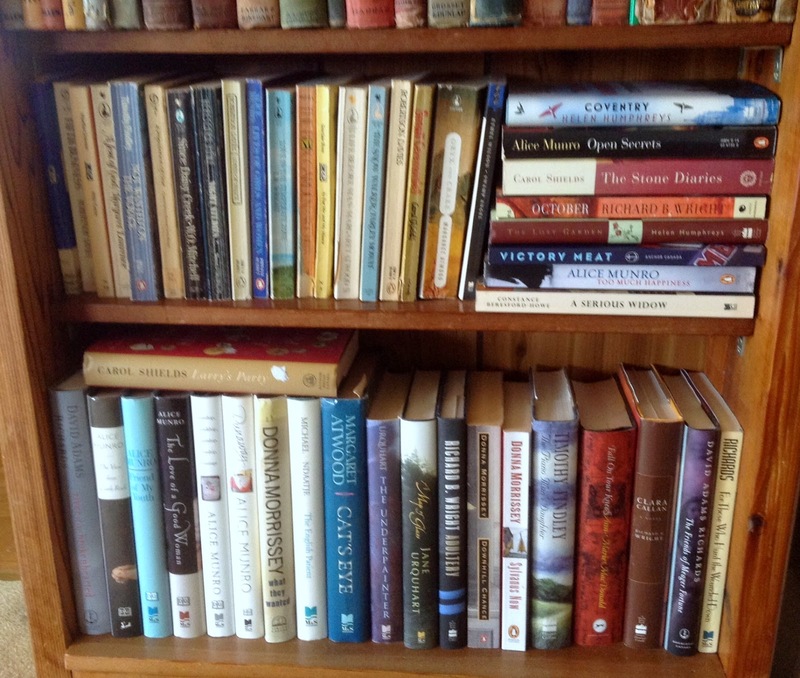 I haven't added a post on my Reading blog for too long and any writing about books has to be saved for that. But I do want to say that you must look for Madame Là-Bas's blog newyeardnewdreams.blogspot.com . . . She's a great reader and she's right now holidaying in the Shetlands! Did you ever watch the Maggie Muggins show? As soon as I saw those titles on the book spines in your photo, I heard the theme song playing and thought of Mr. McGarrity. . . . Yes! I did watch the Maggie Muggins show on TV. I can't remember the theme song. But I do remember...from the books and the show..."Well Maggie Muggins, you've had quite a day." and "Tr-la-la-la larrity....etc etc"
Thanks for your comment...you must be busy getting ready for your big run? Susan, it's been a long time. Good blog. But when will you write about the 'big, two-hearted bean'? Long time, indeed. Hope you are well. I was thinking about the "big two-hearted bean" and the "swirling vortex of laughter" it stimulated when we were in Key West. Funny, eh? I am always free for lunch or tea if you want to catch up. Our phone number is the same as ever. Things are a bit hectic at the moment, but I will give you a ring at the end of the month. I enjoyed this post Sue. Thanks, and thanks for stopping by.